Have you wanted to take more control over your career? Are you attracted by the idea to be able to make your own schedule and not worry about asking permission to attend the doctors, school events or other important occasions? Do you want to work with a trustworthy, quality organisation in a supportive environment with friendly colleagues that are just like you? Clocktower Cars are recruiting and we are interested in PCO and local authority licensed drivers to join our growing service and use their knowledge, experience and driving skills to give them the rewards and career they fully deserve. Aren’t all taxi companies the same? Ask any passenger and driver and the answer is a resounding NO! Both will have stories of disappearing taxis that never appear, unsafe conditions or broken promises on career support or advancement. Our customers and drivers choose us and stay with us for the same reasons. Our customers value our reputation and performance and once having experienced the Clocktower Cars service, will judge all other taxi companies by our high standards. Our drivers will say the same and appreciate the regular, reliable work and experience of driving good people to their destinations and not having to worry about sketchy payment details and hassle that a driver can experience in their working hours. Our modern 24/7 always on society puts the customer firmly at the centre of his or her own decisions. They can choose whoever they want to supply their services and take them where they want to go. Customer and employee loyalty has never been more hard gained or easily lost. This is why you have to ask – why do so many clients and drivers keep choosing ClockTower Cars? Constantly searching for the cheapest deal or quickest ride can be exhausting and even with experience and knowledge; you can sometimes spend more time finding the right taxi than the journey itself would take! 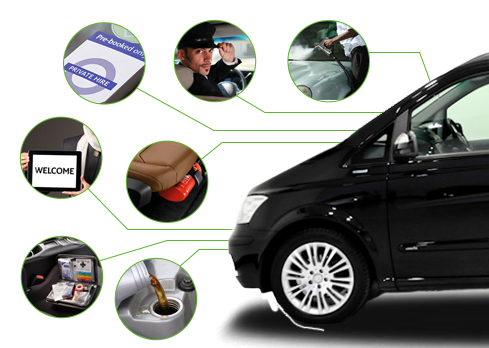 ClockTower Cars sets out a simple but strong proposition – swift, safe, secure journeys in comfortable, checked cars with a set rate driven by an experienced, checked, professional driver who knows the area and sees customer service and experience as an integral part of their job. That’s it. No gimmicks, magic formulas or tricks. Just the most consistent quality taxi experience in the South East.